TresCom Forums • View topic - Create a place we can dump 3d models for remakes? 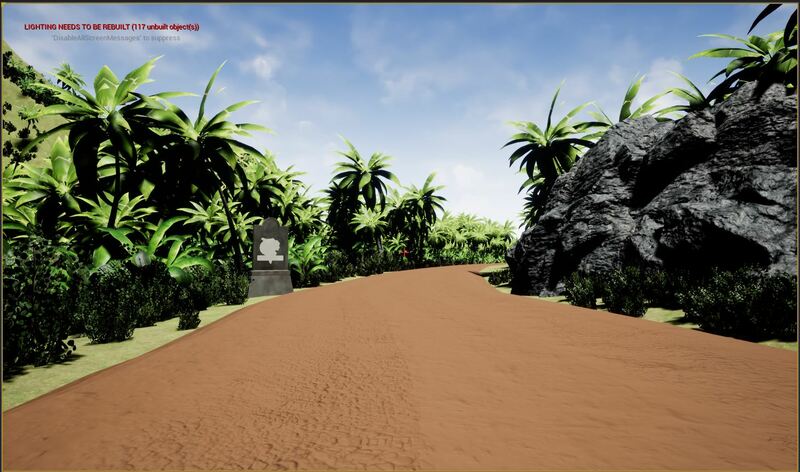 Post subject: Create a place we can dump 3d models for remakes? Ive seen alot of remakes of games come and go, and it seems they usaly die a slow and dissapointing death. I am one of those people who want to see Trespasser in some kind of updated version, but i know f***ck all about coding, but i do know a thing or two about modeling, so was thinking about having a form for server or dropbox to upload models from TresPasser remade/reimagined so the people who DO know coding or are ninjas in UE4, Unity, CE, Belnder etc dont need to start form scratch when the inspiration hits. So basicly uploading FBX files (thats the filetype ive experienced works with most software), this way it becomes more of a community thing, and less "Sit'n pray for a DMCA to be no'show" thing. But....I am not to familiar with ways to create a database everyone can download stuff from in a clean and fast manner and let others upload stuff that are relevant to the project. But is this at all anything that would be a good thing here? a resource for Trespasser/Jurassic Park fangame props and buildings? Post subject: Re: Create a place we can dump 3d models for remakes? That's a pretty smart idea, actually. I think a model respiratory would be great, especially if we could start unifying the 256-color palettes there as well. Would save modders a ton of time. The only thing is that this would take a long time and be rather tedious, though we could just skip the palette step I guess. Draconisaurus manages the Tres File Box, including the Texture Archive, which is a similar thing except with only textures. Guess he'd be the one to talk to for that. Tres File Box has a number of things but it's not end-all model repository, heh. The texture archive is somewhat comprehensive. Box.com has a feature where rights to upload (and/or download?) are managed by assigned admins ("managers"?). A new box could be made for the purpose you speak of. Personally, I am in preference to releasing levels with collected/organized Tres assets... but this is primarily useful for modding within Tres (still helps as an organizational "here are these things in one place" set-up). I don't remember this? Someone tried it once but I don't remember a site... Just TPMs and thumbnails... Thinking the thumbnails were for the site.. Pretty nice! What's your plan for this model? I have no real plans, was going to just upload em somewhere and share the link to the models here. 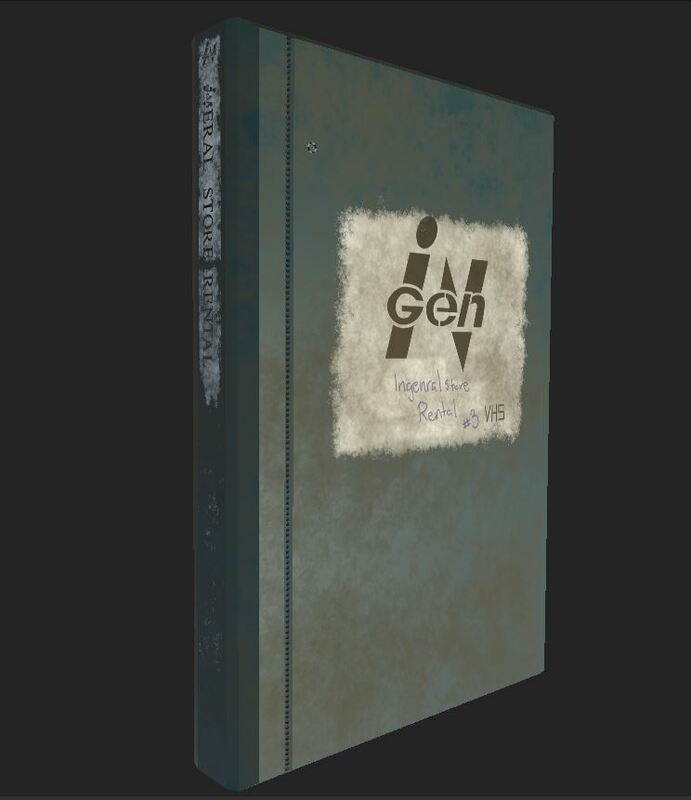 I have to program experience, but i know my way around Maya and Zbrush, so il just create models from Trespasser as a nostalgic treat, and if anyone here got the coding chops and want to use the assets they are welcome. What coding are you suggesting will be involved? And Trespasser assets around here are designed to work best with Max via maxscripts (with hesitant acceptance of the crappy 3DS format for conversions etc. ), so I am curious what working in Maya and/or Zbrush would result in.. I am making models with modern polycounts in mind, so if anyone wants to make a trespasser remake or anything with a modern engine they can with the buildings i am making, I am using Maya to model the basics and use zbrush to model details il then make into normalmaps to make the models a little more detailed. And thats what i mean by not having any plans for them, i am just making modern versions of the buildings and stuff as a exercise. The lack of programing comment are just meant as a "I am not making a remake, i dont got the skills to pull that off, i am just making modern polycount models of Trespasser buildings and locations". Starting to getting a feeling posting here was a mistake since it dosent realy have anything to do with Trespasser as a game. It's still interesting to us - we're always excited to see new Tres-related stuff, even if it doesn't work with the *actual* game. Maybe you could show your work to s1n31, he might have use for it in his Trespasser remake. 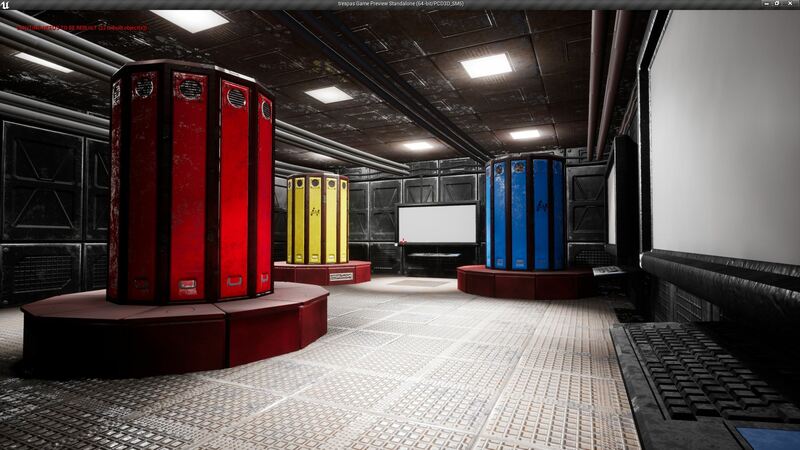 The Cray room are pretty metaliy and "Doomish" since i kinda thought the room was a large Faradaycage (?) to keep the computers in a "clean singnal" envirement. The cray's threw me off a bit because of the color, i've seen a blue cray, but never remembered a yellow cray. The yellow one was just to collor code em, so if a technician had to work on one of em they just had to say the collor and get him to work, so took a Artistic liberty with that one just to give the 3 crays their own "identity", What other collor did they use? If they have a third collor il just change it. Looks really great! Wish I were good enough at UV maps to do stuff like that, as I think Tres HD could definitely use some models of that calibre (though perhaps with a small polycount reduction ). Nice work. I dig the InGeneral VHS rental. The real question is - were you alive when those were a thing?